This bus stop instantly caught my eye and grew on me each time I passed by. 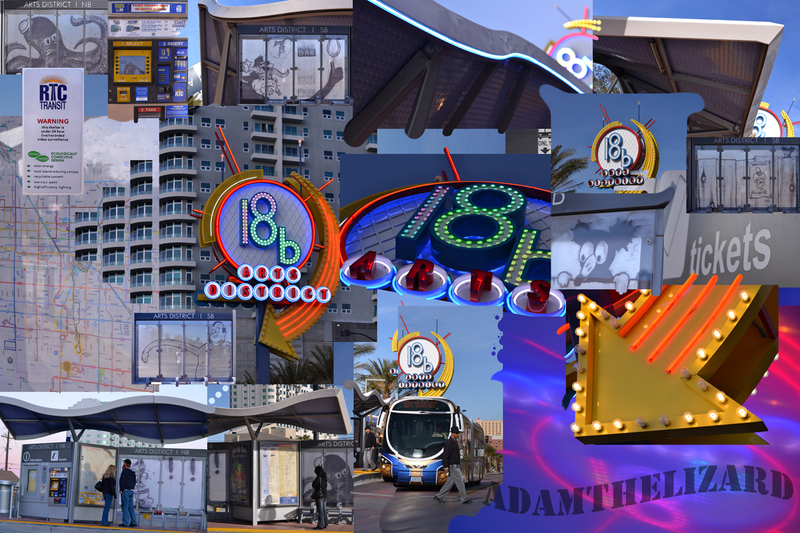 It is located in the Downtown Las Vegas Arts District, right across from The Arts Factory and Artifice. This is an area that is removed from Fremont St in the heart of Downtown, so it’s a good thing the RTC put this stop where they did. It is a work of art unto itself and makes this neighborhood that much more interesting.